Holiday Rental provide access to the finest portfolio of private vacation homes in Scottsdale, Arizona and surrounding areas. We will help you find the vacation rental that fits your need and budget. Then we well ensure you have a great guest experience. Your satisfaction is our number one priority. 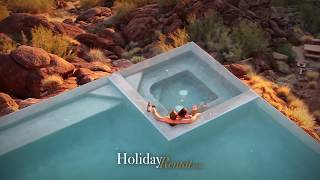 Holiday Rental features luxury holiday vacation home rentals in Scottsdale, Arizona and surrounding areas. Our luxury villas are handpicked by our staff to meet your every need, whim, and desire. We choose each villa with our guests in mind, and believe the right villa is key to our guests’ happiness. Our homes include daily maid service, onsite guest check in, luxury linens and amenities, and we arrange your arrival as well! 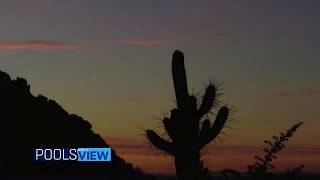 We have such a wide variety of attractions and things to do and see in Arizona! Whether you are here for The Waste Management Golf Open, Spring Training Baseball (Cactus League), golf, shopping, dining, catching a sports event like Cardinals NFL Football game, The Phoenix Suns games.. we have it all! 15 of us stayed here for 4 nights for a golf trip. The house and entire property was great, exactly as advertised. Guy was very accommodating and even invited us to his neighbours party next door. The only issues that came up were the pool light and some of the landscape lights weren't working, but were quickly rectified by Guy and his employee. I would definitely stay here again and would recommend this house to any group!! The grounds of this home were spectacular. Having Chef Christine was one of the highlights of our stay. Her food was amazing and our grandson said her food was almost an equal to the amazing swimming pool. The house and accompanying guest house were able to accommodate my group of 14 with ease and comfort. The location in PV is a perfect, central location with easy access to all the attractions of downtown Phoenix, Scottsdale, and not too much further from everywhere else. The property itself was in great condition with high end amenities (Pool w Slide, large fridge/freezer space/ample linens and towels). One small complaint was no stereo system to hook an Iphone into for music so I would recommend bringing your own dock/speakers if this is important to you. I would definitely stay again and would recommend this property to anyone entertaining a large group. This rental exceeded our expectations. Beautiful modern home with great views and a terrific flow between the spaces. My entire family (eight adults) stayed there, all in comfortable bedrooms. It was a great fit for us. We were in AZ for a wedding and when not attending one function or another we were hanging out and enjoying the home and its super amenities. Check in process was easy and effortless. We would stay there again in a heartbeat.